This system was visited for the first time on EDSM by Zulu Romeo. 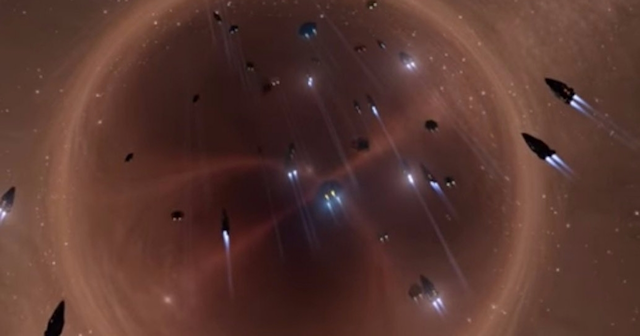 7882 ships passed through Sagittarius A* space, including 92 ships in the last 7 days. 13 ships passed through Sagittarius A* space in the last 24 hours. Image by Erimus Kamzel (Reuniting the Fleet at Sagittarius A* - Distant Worlds 3302). The supermassive black hole at the centre of the galaxy. Since modern FSD technology made it possible to travel the extreme depths of space, Sag-A* has been visited by hundreds of explorers. Some come here as part of a speed race or challenge, others to gain the experience (and credits) of scanning the most massive stellar body in the galaxy. Some come because their wanderlust drives them ever further from the regions around Sol, and others come as part of one of the many community expeditions that have made their way through this system. Sag-A* was first reached by CMDR Zulu Romeo in late November 3300 while he was doing a scouting mission for the First Great Expedition (FGE) towards the galactic core. At the time no one expected that it would be possible to reach the galactic core before massive FSD failure would be experienced, but Zulu proved the resilience of modern drive technology by continuing on and on. A later notable event here at the center of the galaxy, was the record breaking meet-up during the Distant Worlds Expedition of 3302.